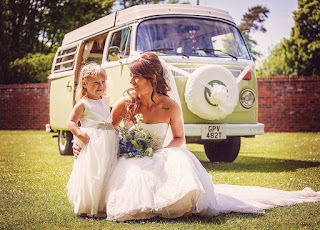 Sweet Campers is a VW Campervan hire company in Darlington, Co Durham. With a passion for old VW's, they offer not only campers for holidays, but a chauffeur driven service for weddings and special events. You can also hire a converted campervan that is now a retro sweet shop on wheels! Great care has been taken when renovating the VW Campervans, ensuring that they are completed to the highest of standards. VW Wedding Transport - What better way to arrive at your wedding than in a newly refurbished campervan? These can travel anywhere in the UK, please call and discuss package options. Vintage Campervan Sweet Shop - If you are looking for a WOW factor for a special occasion, then the vintage sweet shop on wheels is perfect. The shop will be attended by a friendly assistant for the duration of your event. You have the sweet shop set up from the back or from the side. It is tastefully decorated and includes fairy lights if it gets dark.